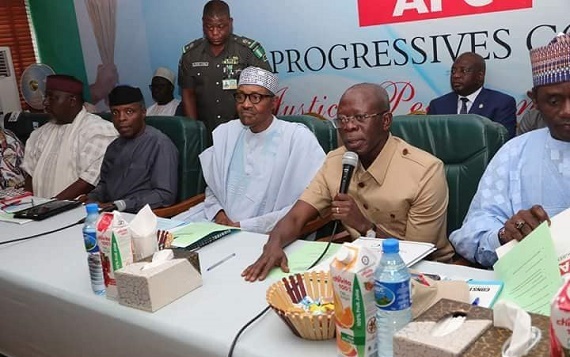 The Presidential Primaries of the All Progressives Congress earlier scheduled for Thursday, 20th September will now take place on Tuesday, 25th September, the party has said. A statement signed by the National Organizing Secretary, Emma Ibediro also announced the shift in date of all other primary elections from the earlier date, with the governorship primary now scheduled to take place four day after the presidential primary on 29th September. Similarly, the senate and House of Representatives primary will now take place on 2nd and 3rd October, while the state houses of Assembly primary will now take place on 4th October. The National Convention of the party to affirm the party’s Presidential candidate is expected to hold on 6th October as earlier scheduled. No explanation was offered for the shift in date of the primaries, but The Nation can report that screening of aspirants was yet to begin as at the time of this report as no committee has been inaugurated to handle the screening. Also, the party was yet to name Committee to conduct the primaries. It was gathered that the National Working Committee of the party was working round the clock to avoid major crisis after the conduct of party primaries. Most states of the Federation are sharply divided over the mode of primary to adopt for the conduct of party primaries with some stakeholders pushing for direct primaries, while others are insisting on the use of direct primaries.